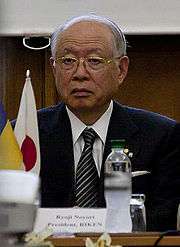 Ten Nobel laureates have been affiliated with Kyoto University. The building pictured is Clocktower. The Nobel Prizes are awarded annually by the Royal Swedish Academy of Sciences, the Karolinska Institute, and the Norwegian Nobel Committee to individuals who make outstanding contributions in the fields of chemistry, physics, literature, peace, and physiology or medicine. As of October 2014, 10 then-current faculty and research staff at Kyoto University were Nobel laureates. There were not including the Third High School (precursor of Kyoto University) graduate Leo Esaki. 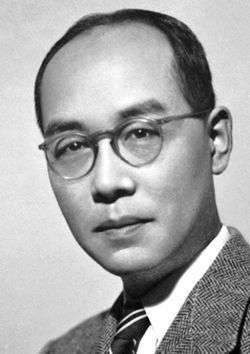 1949 Hideki Yukawa Alumnus; member of the faculty Physics "for his prediction of the existence of mesons on the basis of theoretical work on nuclear forces". (shared with Julian Schwinger and Richard Feynman) Alumnus Physics "for their fundamental work in quantum electrodynamics, with deep-ploughing consequences for the physics of elementary particles". (shared with Roald Hoffmann) Alumnus; D.Eng; member of the faculty Chemistry "for their theories, developed independently, concerning the course of chemical reactions". 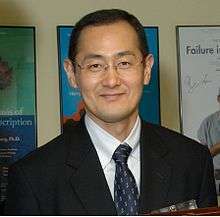 1987 Susumu Tonegawa Alumnus Physiology or Medicine "for his discovery of the genetic principle for generation of antibody diversity." 1991 Aung San Suu Kyi Visiting fellow (1985-1986); honorary fellow Peace "for her non-violent struggle for democracy and human rights". (shared with William Knowles and Barry Sharpless) Alumnus; D.Eng Chemistry "for their work on chirally catalysed hydrogenation reactions". 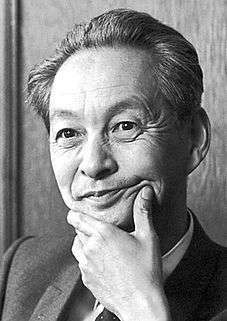 (shared with Yoichiro Nambu and Toshihide Maskawa) Member of the faculty (1972-1979) Physics "for the discovery of the origin of the broken symmetry which predicts the existence of at least three families of quarks in nature". 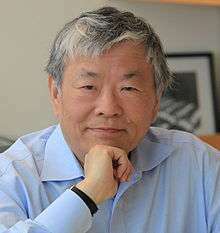 (shared with Yoichiro Nambu and Toshihide Maskawa) Member of the faculty (1980-2003); honorary professor Physics "for the discovery of the origin of the broken symmetry which predicts the existence of at least three families of quarks in nature". (shared with John B. Gurdon) Member of the faculty Physiology or Medicine "for the discovery that mature cells can be reprogrammed to become pluripotent". (shared with Hiroshi Amano and Shuji Nakamura) Alumnus Physics "for the invention of efficient blue light-emitting diodes which has enabled bright and energy-saving white light sources". ↑ "Alfred Nobel – The Man Behind the Nobel Prize". Nobel Foundation. Retrieved 2008-10-18. 1 2 "The Nobel Prize in Physics 2008". Nobel Foundation. Retrieved 19 December 2009. ↑ "The Nobel Prize in Physics 2014". Nobel Foundation. Retrieved 24 August 2015.